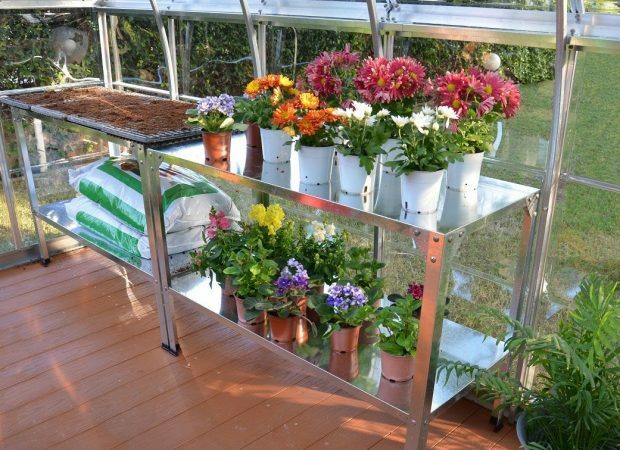 GREENHOUSE BENCH – the SILVER LINE BENCH is manufactured from durable galvanised steel, and can hold up to 150 kg. 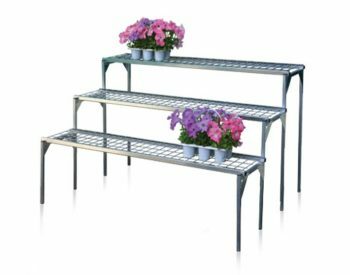 The two-tier shelving system is ideal for plant staging, and the lower shelf height is adjustable. 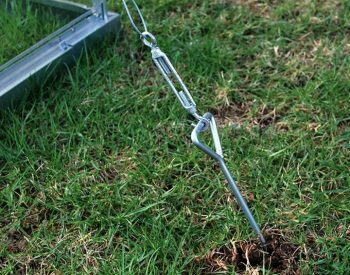 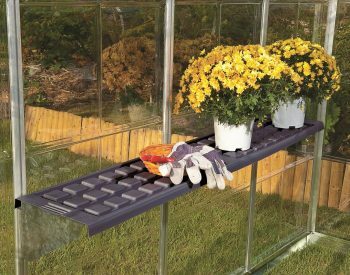 The top shelf can also be turned over for use as a soil tray if required. 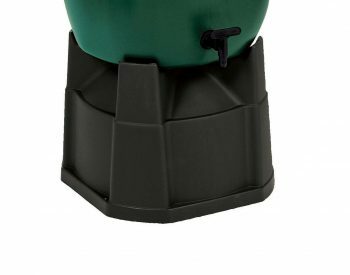 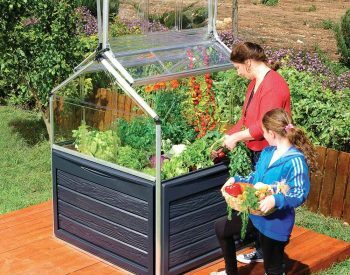 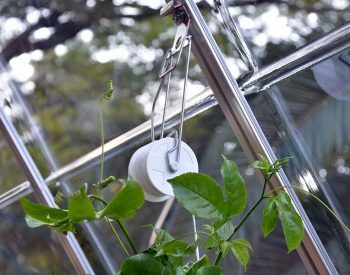 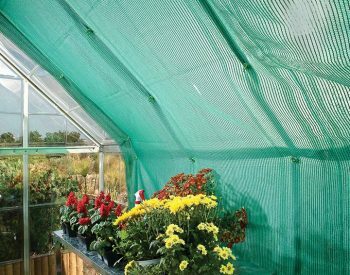 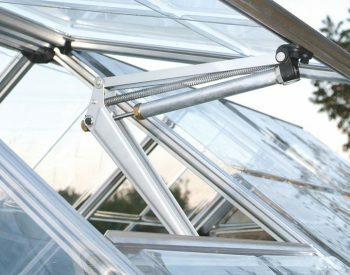 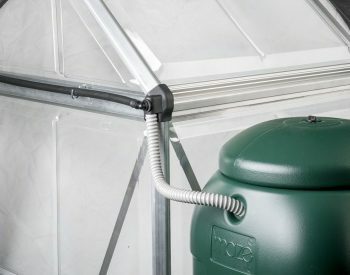 A robust and functional addition to your SILVER LINE greenhouse. 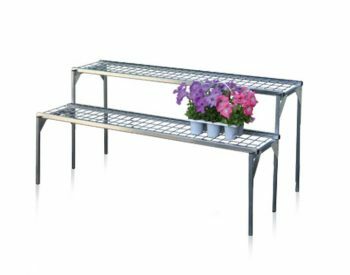 The SILVER LINE BENCH can also be used in garden sheds or garages as a handy work table and storage unit. 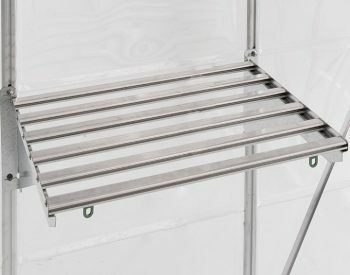 Dimensions: 1140mm wide x 500mm deep x 800mm high. 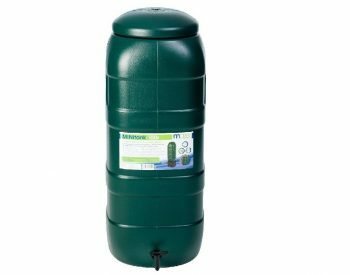 PRICE INCLUDES FREE DELIVERY TO YOUR ADDRESS ANYWHERE IN AUSTRALIA!